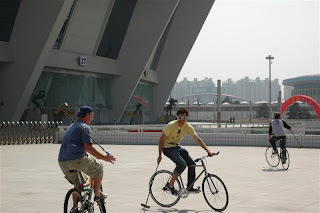 shanghai bike polo: photos courtesy of rich ! here are a few gems that richard yu managed to snag. 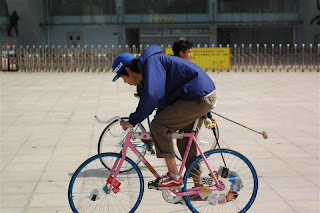 you can check out a few more on his site here - he also has some pretty sweet stuff up there that is NOT bike-polo related, so check it out! 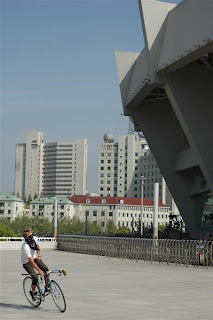 check out that scenery :) shanghai stadium! 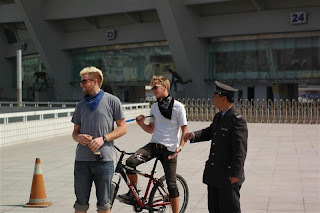 the cops showed up, but we managed to convince them that bike polo was super cool - so they left. 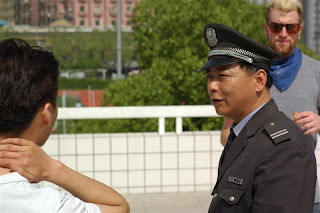 when in doubt : ignore.